We’re always the optimists who want to believe that there are significant caches of previously unknown recordings by artists who’ve passed or long since made their best work. 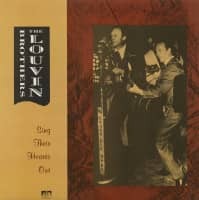 Not just alternate takes or juvenilia, but truly undiscovered great music. 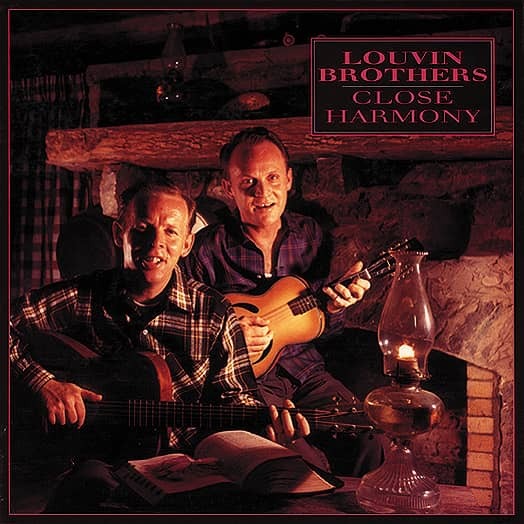 In the case of the Louvin Brothers, this is it. Charlie was clear that he and Ira had no thought that their music would be heard decades later; they just wanted to sell some publishing. 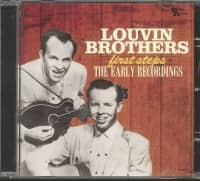 They believed that no one would hear these recordings except some label guys, artists, and Acuff–Rose. Ten or fifteen people perhaps. But they performed with shimmering intensity and exactness. That was their way. 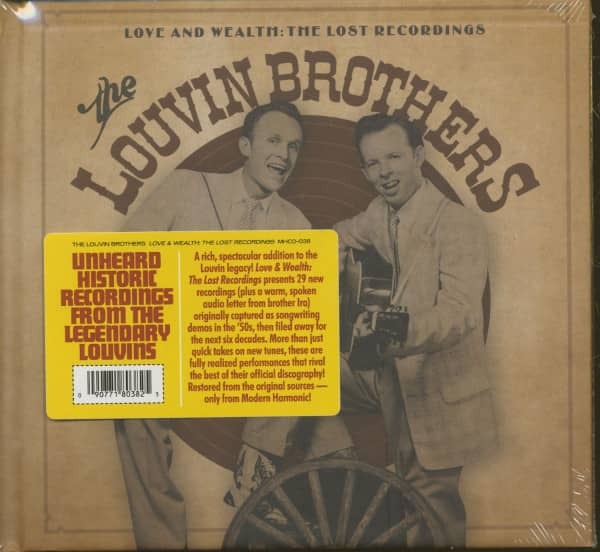 A rich, spectacular addition to the Louvin legacy, Love & Wealth: The Lost Recordings presents 29 new recordings (plus a warm, spoken audio letter from brother Ira) originally captured as songwriting demos in the ’50s, then filed away for the next six decades. More than just quick takes on new tunes, these are fully realized performances that rival the best of their official discography! 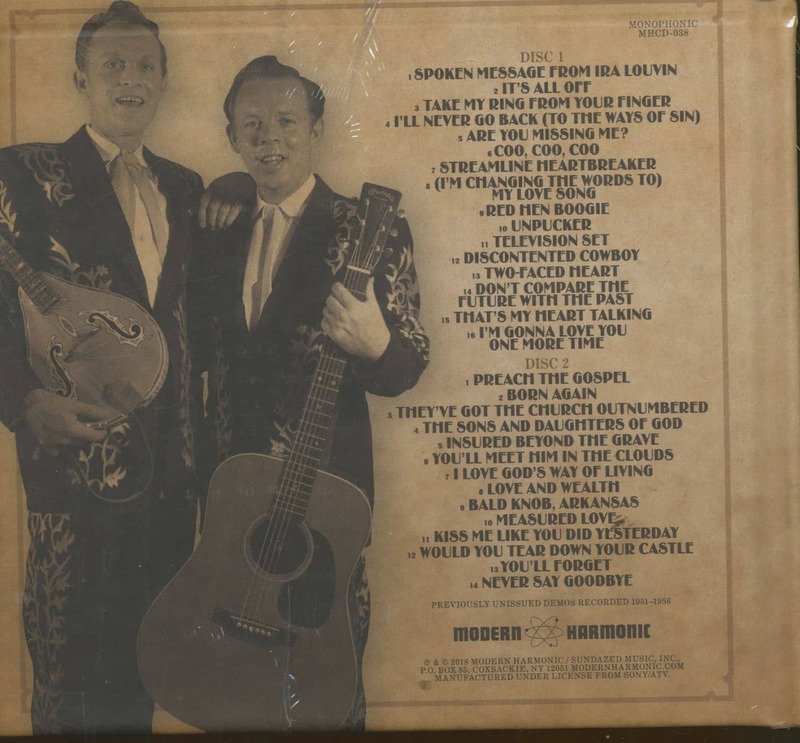 The liner notes are from music historian Colin Escott and the set includes stunning photos from the Country Music Hall of Fame! Customer evaluation for "Love And Wealth - The Lost Recordings (2-CD)"